In recent years Paradise Village has appointed a few select senior children to act as School People Leaders (SPLs), or Head Boy and Head Girl, to take on the responsibility of representing the student body on campus. Bhargav Kumar Motru was the first boy appointed SPL three years ago, followed a year later by Anitha Jampani, but for the past academic year (2017-18), with student numbers rising to 450, two students were chosen to share the task. Bhargav was once again the popular choice for the Head Boy role, while Year 10 classmate Vijaya Lakshmi Neduri was appointed Head Girl. 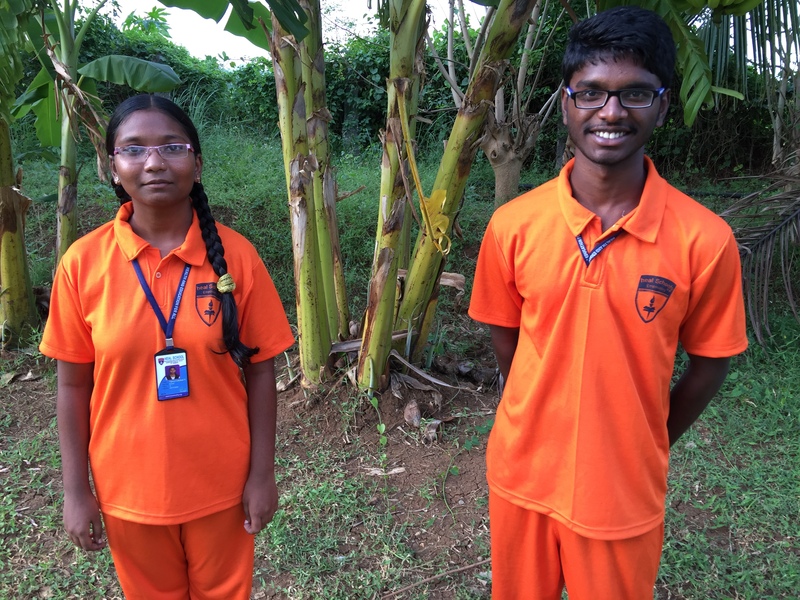 In addition to their normal school activities, these two – often standing out on official duties in their bright orange colours – are given daily responsibility to keep a watchful eye over younger students, lead by example in matters of behaviour and discipline, and welcome guests and visitors at the dias. 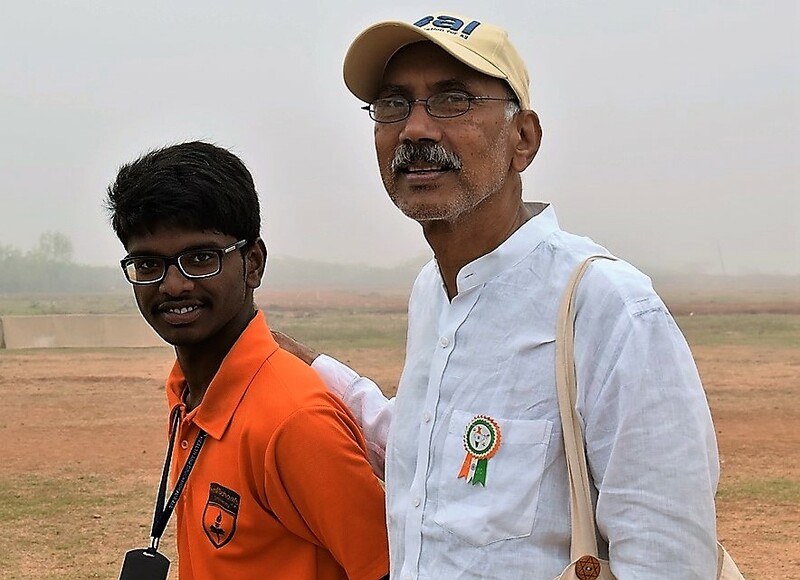 “We are expected to keep all the children well-disciplined and well-mannered, keep them in line when going to and from school, that sort of thing,” says Bhargav, who will celebrate his 17th birthday in May 2018. “It is also up to us to make sure the surroundings are kept nice here at Paradise Village. Everyone is expected to clean up, including me, and I hope the younger ones will follow my example. She will be 16 in August and could join her Year 10 classmates in attending Junior College in nearby Vijayawada if a planned HEAL College for Intermediate students is not ready to launch this summer. 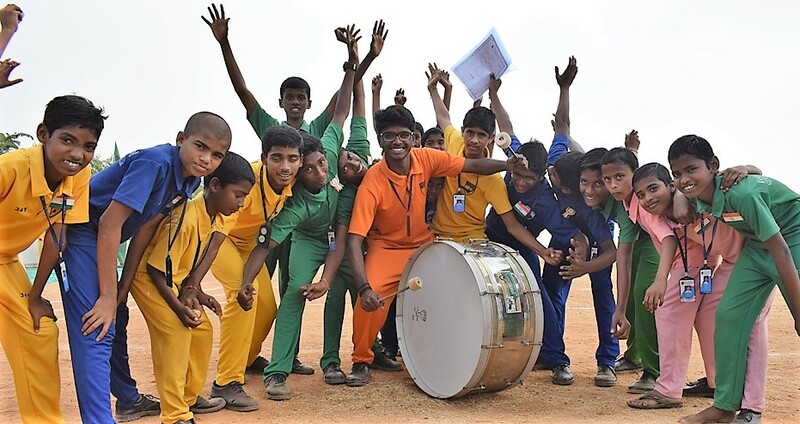 “With a HEAL Junior College in place, students could stay at Paradise for two more years after completing secondary school and then aim to attend college with the continued support of HEAL,” adds Vijaya Lakshmi, who has ambitions of becoming an aeronautical engineer. Anitha, meanwhile, will be 17 in October and is already setting her sights on becoming a software engineer and helping to design and manufacture the apps and digital software of the India to come. Bhargav is keeping his options open about a future career, but his list of goals and ambitions pay tribute to the wide variety of opportunities these future leaders have been given at Paradise Village. “I have many plans… I want to become an animator and maybe take part-time dance classes, computer classes and I want to do service, giving freely of my time, maybe as a teacher,” he says. There is even talk of Bhargav playing a part in a short animated film a specialist teacher is planning to make with a group of keen students! Spending time in the company of these three bright and confident teenagers, it is difficult to imagine the sort of difficulties they underwent in the early stages of their young lives which led them to HEAL’s door. All three SPLs are happy and settled within the HEAL family and ready to look to a brighter future rather than dwell on the past. Firm friends Anitha and Vijaya Lakshmi have developed their communication skills by following the school Principal’s lead in taking morning assemblies and giving welcome addresses and votes of thanks with microphone in hand.